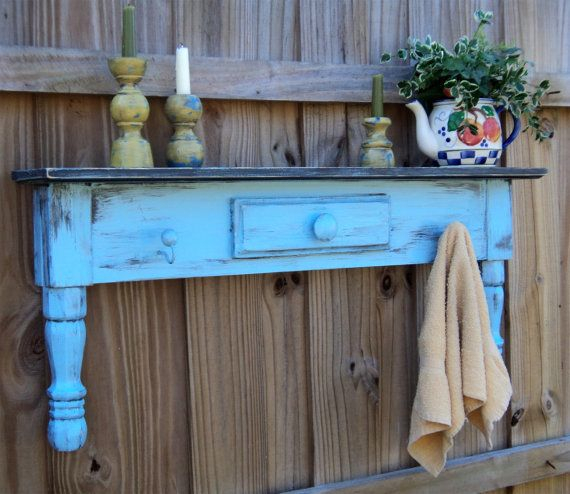 The humble garden fence, our gardens have them but we neglect them.Yes we may paint or stain them but do we decorate? 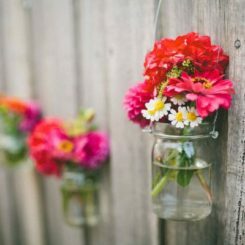 This Spring let us celebrate our garden fences and show them some love.Use your fence as a blank canvas and accessorize with some of your up-cycle favorites or beautiful pieces. 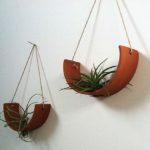 Children grow quickly out of all kinds of shoes, rain boots make fun planters. 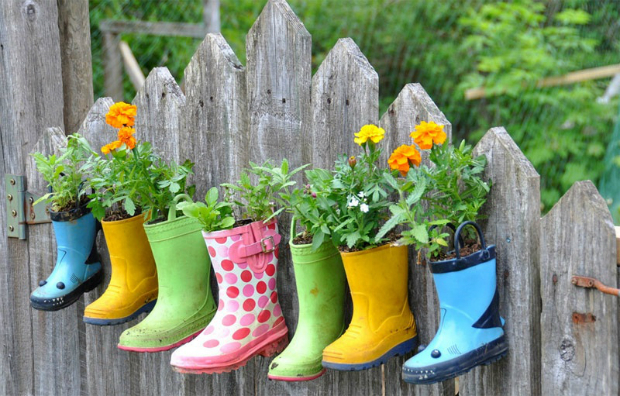 Add the rain boots to the fence in your child’s area of the garden for them to grow their own flowers. 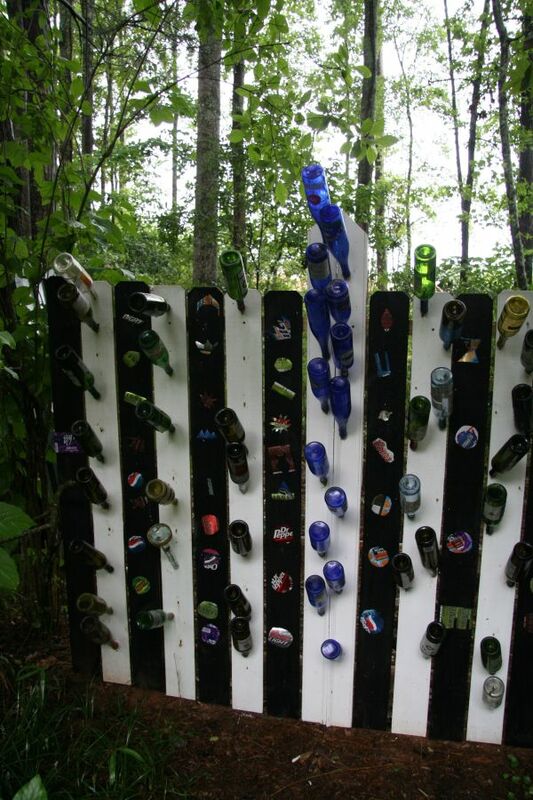 Unsure what to do with your old bottles? 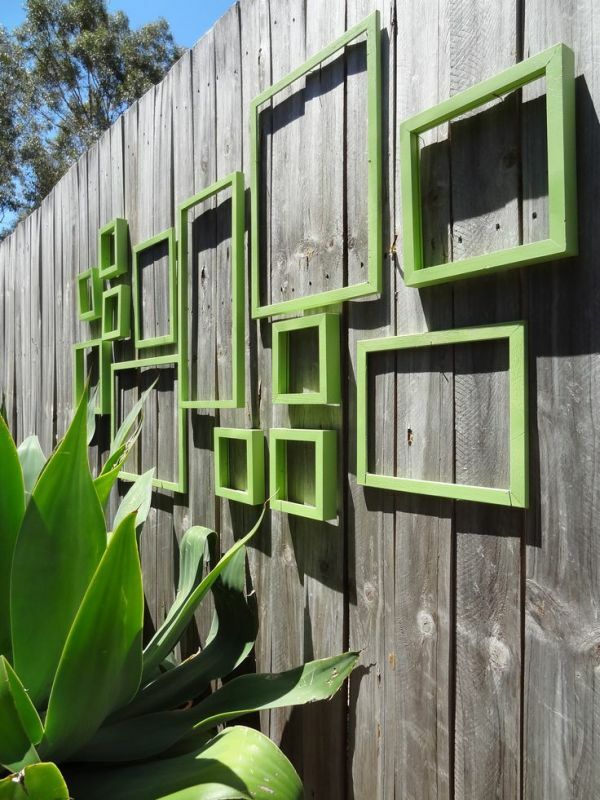 Create some fence art for a fence that will certainly be a talking point. 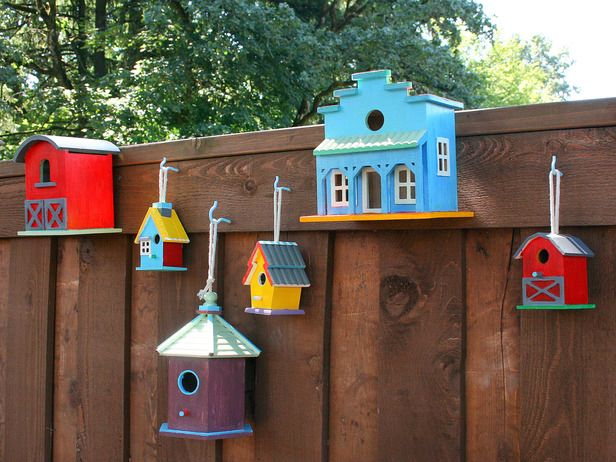 Adding bird boxes to a fence is nothing new. 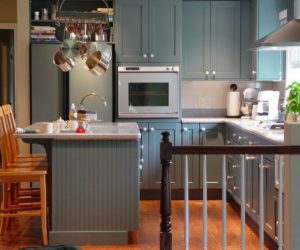 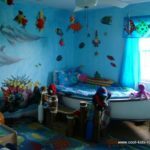 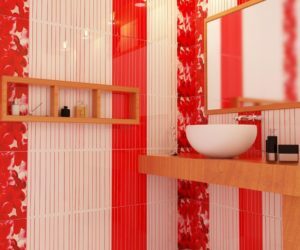 Paint in bold bright colors and place in groups. 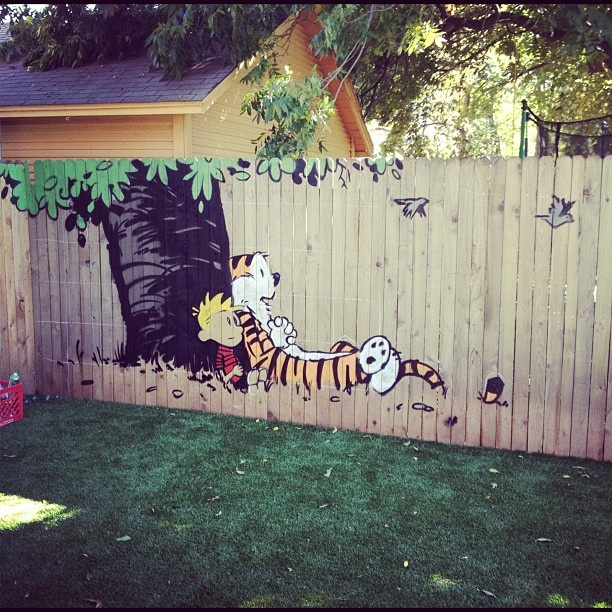 Instead of painting your fence in one color why not add a mural. 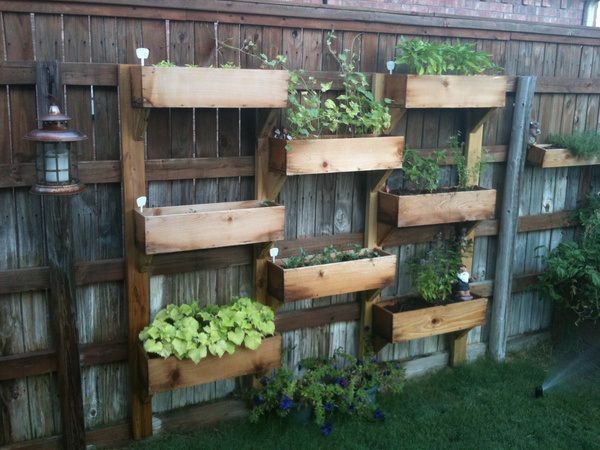 Create a ladder effect with planters, great for growing herbs. 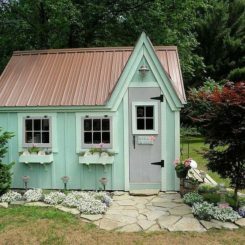 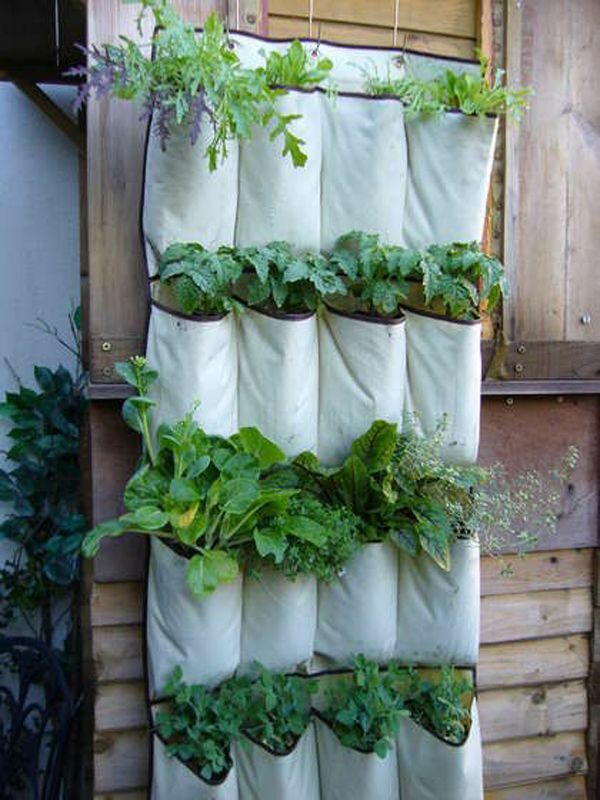 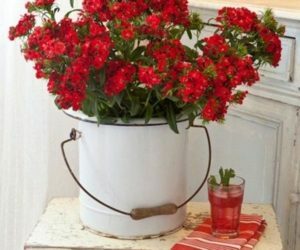 For small gardens this is a great space saver solution. 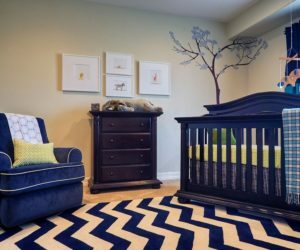 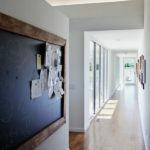 Creating wall art with picture frames is very on trend. 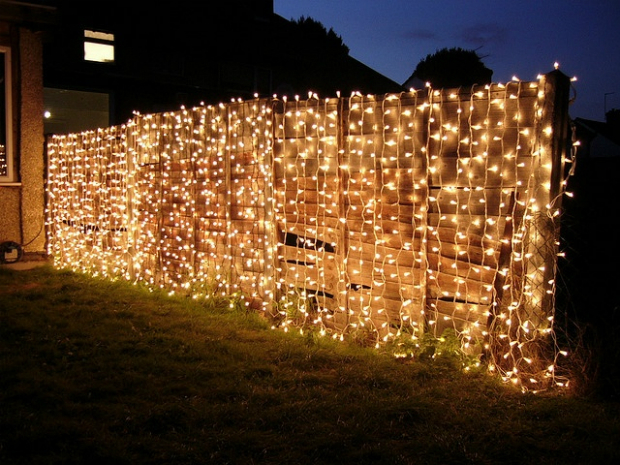 Take this look outside by creating the same effect on your fence. 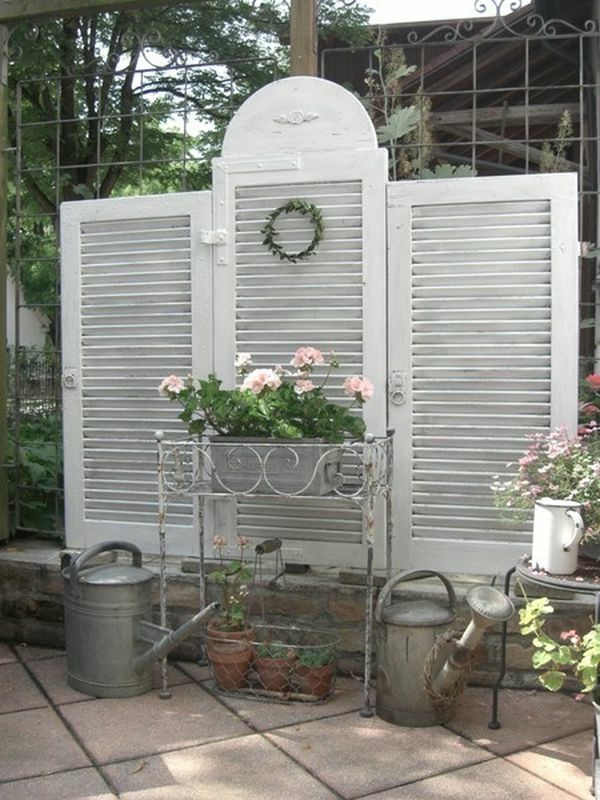 Wooden shutters are an upcycling favorite no matter whether it is for interior or exterior design. 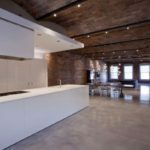 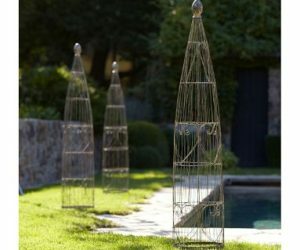 Simple, effective, stylish and elegant, it’s amazing what a pack of fairy lights can do. 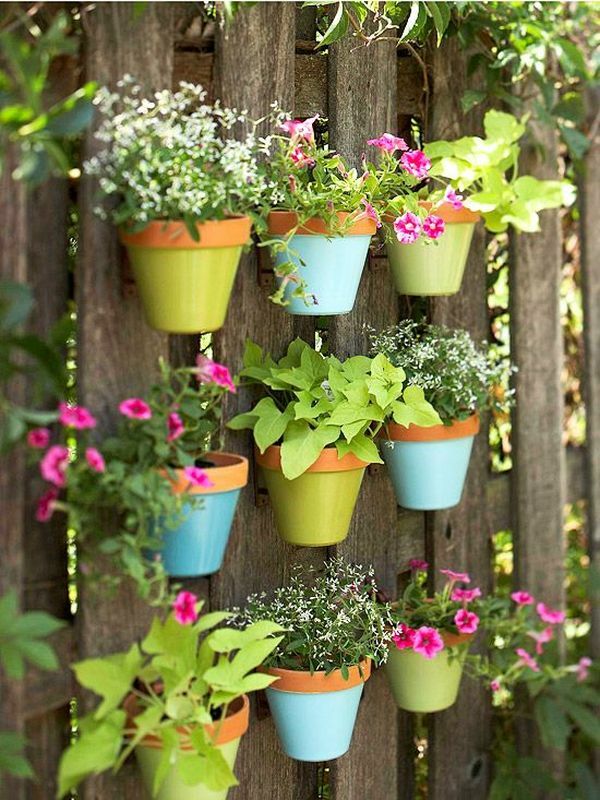 Create a vertical garden with a selection of pot plants. 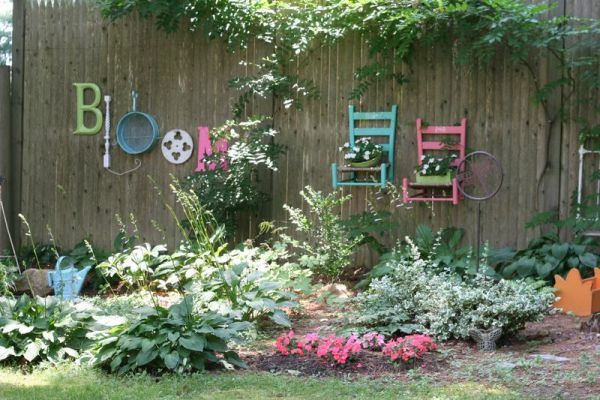 Place uniformly on your fence, keep your pot palette simple and let your plants add the color. 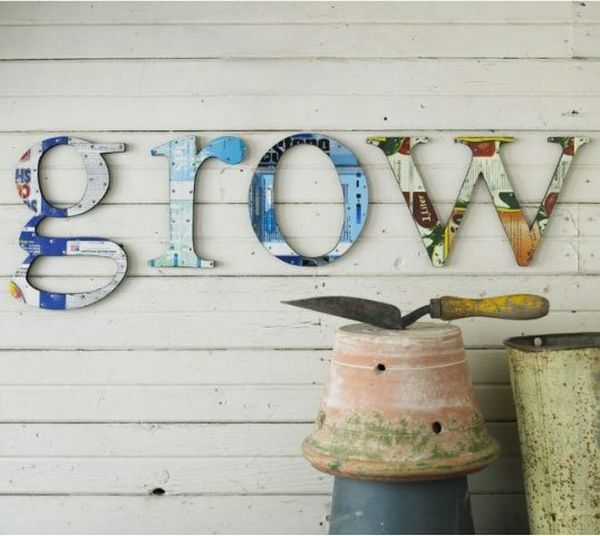 No matter if you use wood, metal or mirror, the use of letters is striking. 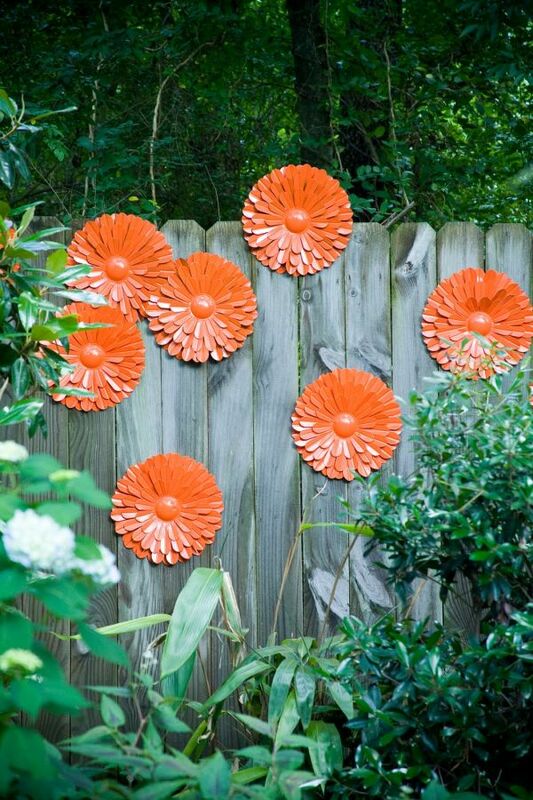 Paint your metal art in bright colors for a fence full of the joys of Spring. 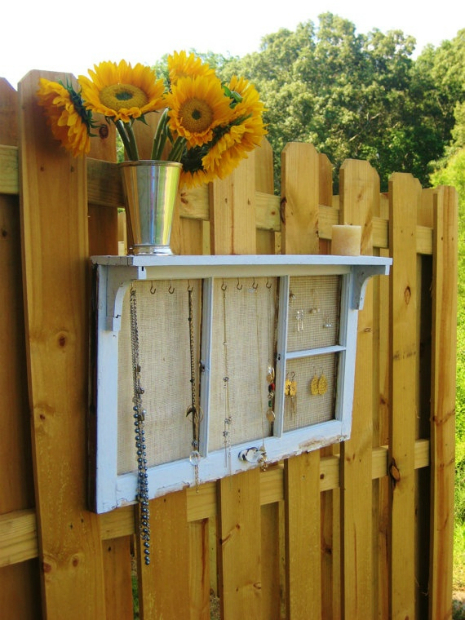 Instead of getting rid of your old jewelry organizer place on your fence and also get a shelf. 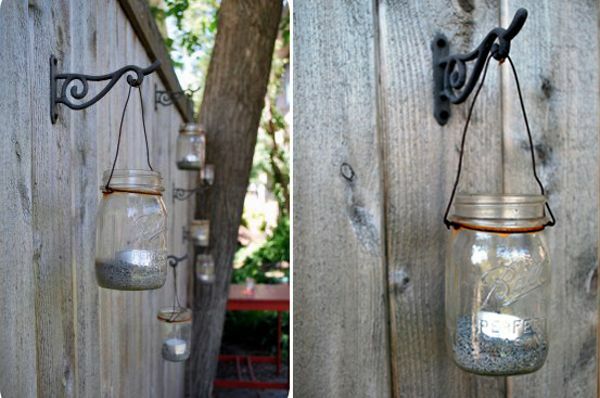 Add night lights or plants to your jars and hang at regular points along your fence. 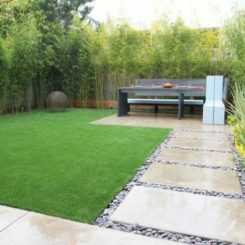 Hide old and battered fence with some astro turf. 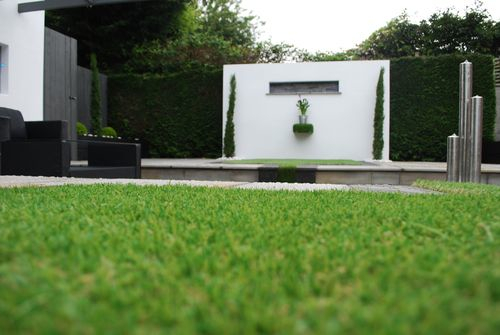 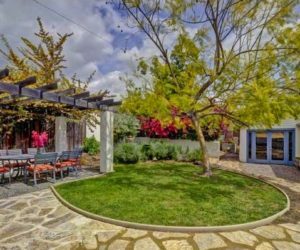 Astro turf is a beautiful backdrop especially for a clean contemporary design. 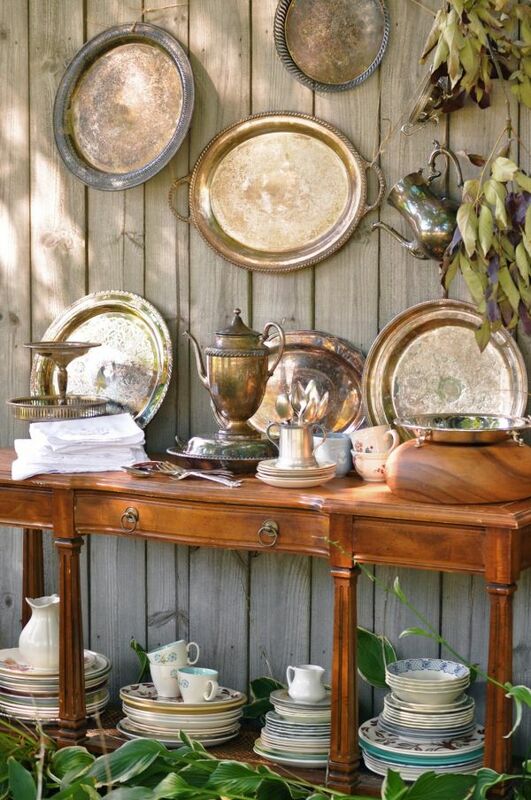 Create a fence full of vintage chic by adding some silver trays. 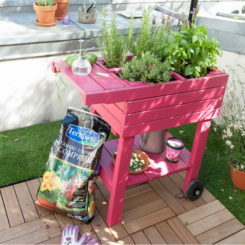 A recycled coffee table creates a beautiful feature for your garden. 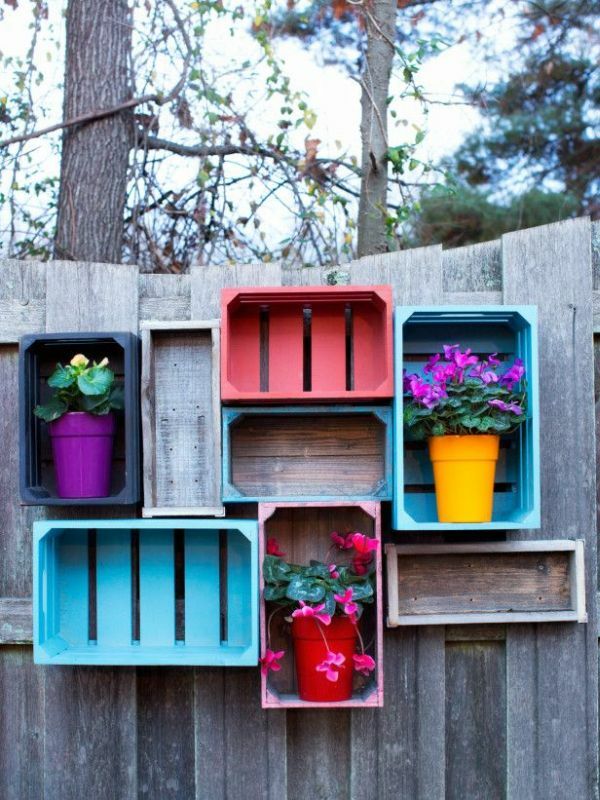 Use wood crates as shelving in a mixture of fun colors and naturals. 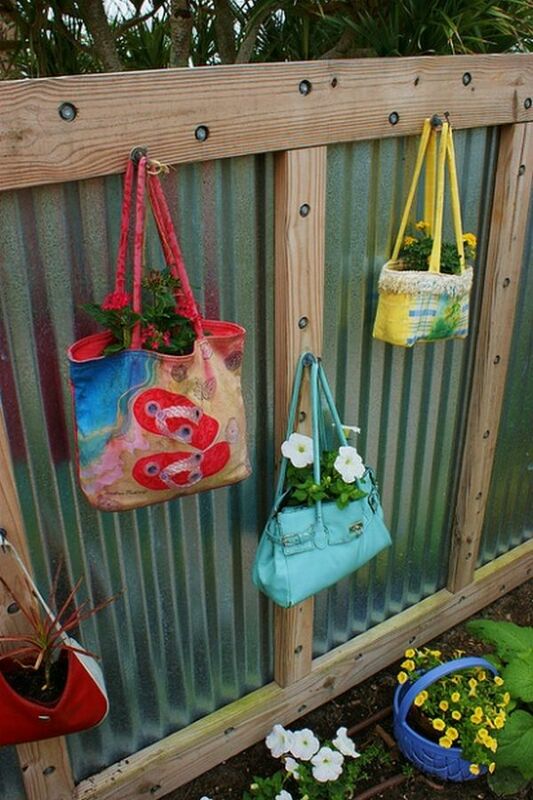 Old handbags make great planters. 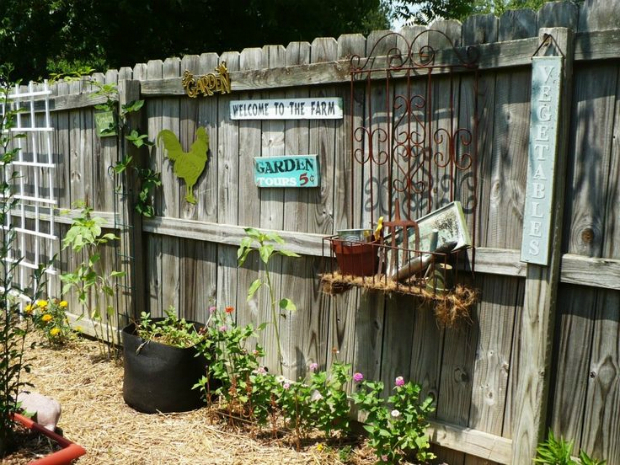 Hang on your fence at regular intervals with and don’t be afraid to use a mixture of designs. 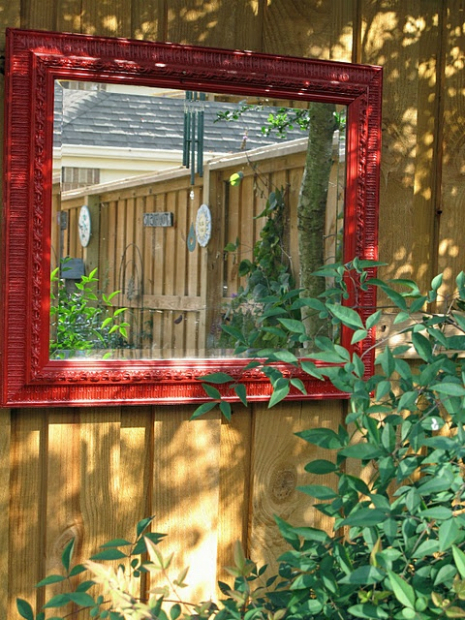 Mirrors work perfectly in gardens especially when you are looking to create a sense of space. 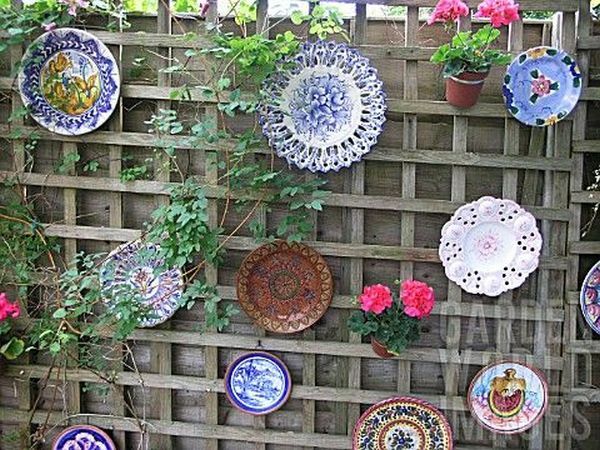 Patterned plates decoratively displayed add color and texture. 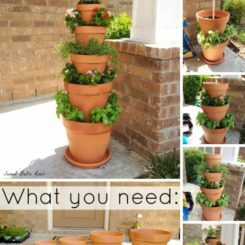 Blend together different styles and shapes and add some climbing plants and pots to finish the look. 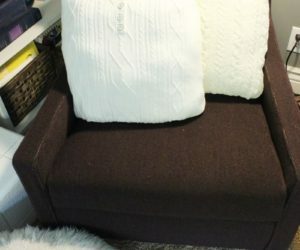 Following on from our shoe theme. 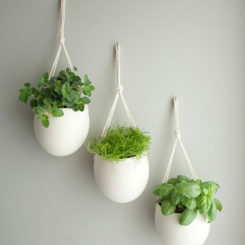 The hanging shoe storage normally used for backs of doors or inside your closet also create a vertical garden with ease. 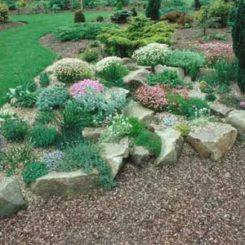 Add you favorite plants or herbs. 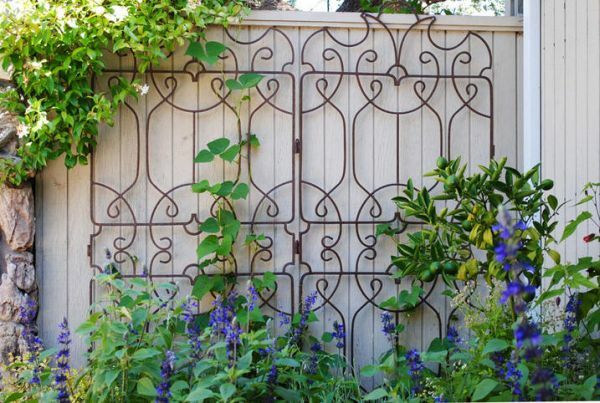 Ornamental trellis is a work of art in itself. 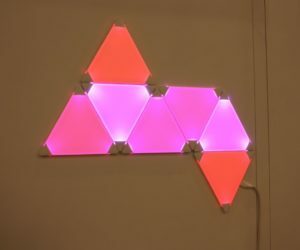 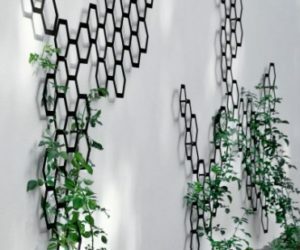 Although it serves a function display the trellis as a decorative item, and enjoy the beauty in its design. 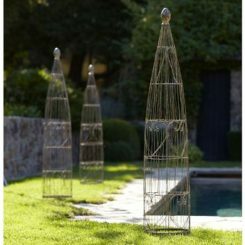 A light painted fence always the patterns to stand out, add a couple of climbing plants to finish the look. 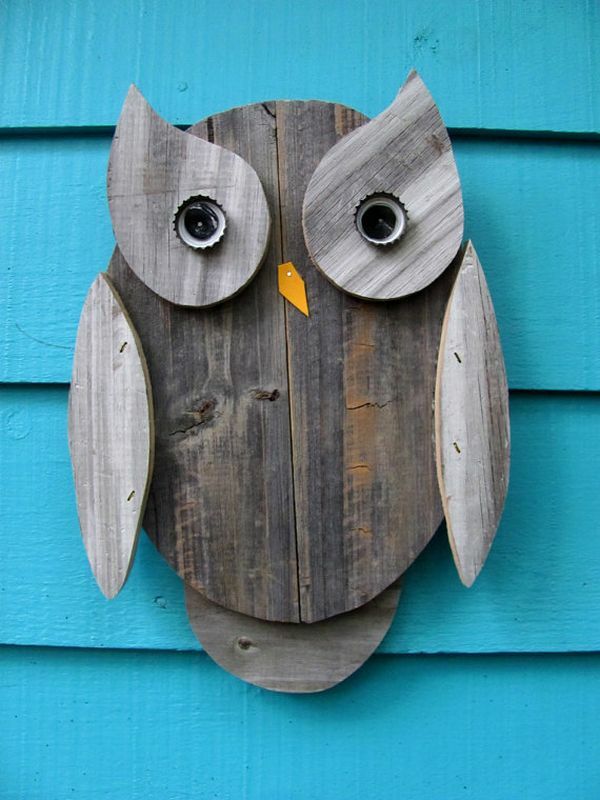 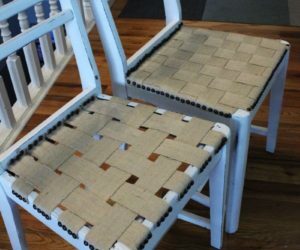 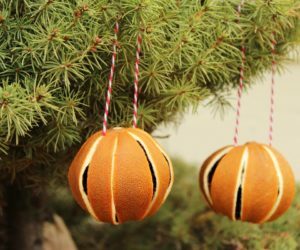 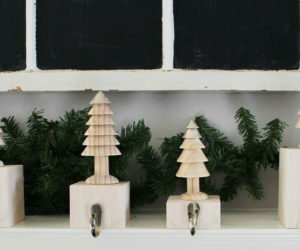 Create fun works of art yourself by recycling scraps of wood and other objects from your garden. 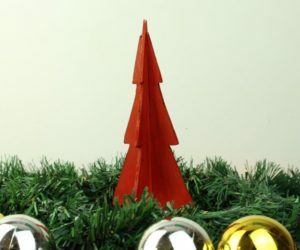 Why not get your children involved and create bespoke art work for your family to enjoy. 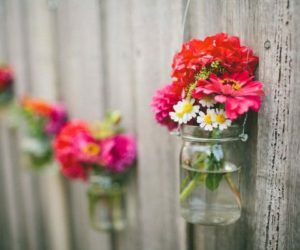 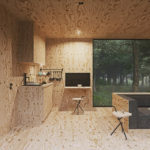 Another example of the fusion of ideas is more eclectic. 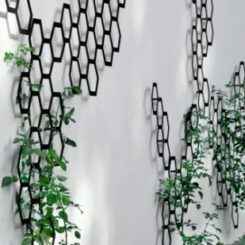 There are no rules when creating a fusion fence, just have fun.